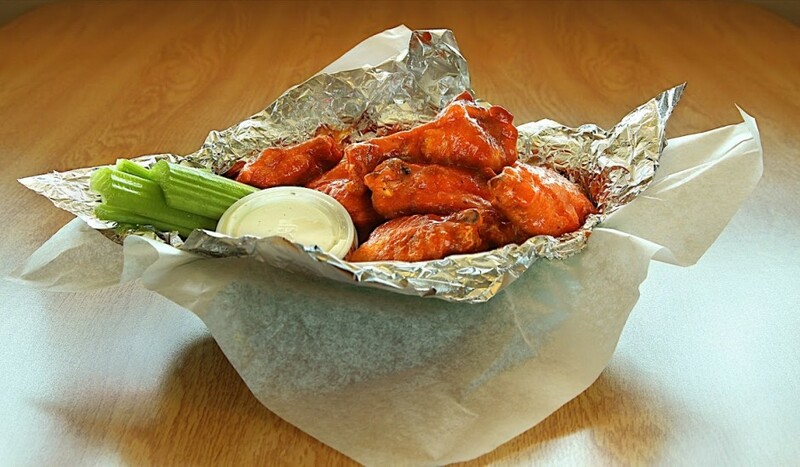 Over a pound (10) of canola oil fried chicken wings, tossed in our Buffalo wing sauce and served with celery and ranch dressing. Available in mild, medium, hot or nuclear. Please allow 15 minutes.